The unemployment rate in the United States is measured on a monthly basis. It is expressed as a percentage of the individuals in the U.S. who are unemployed, divided by the number of people in the population that are members of the labor force. As of 2017, the national unemployment rate has hovered around 4-5%. Our research team here at Eligibility.com updates this page with the most recent data released by the Bureau of Labor Statistics. State-by-state unemployment rates are shown below. 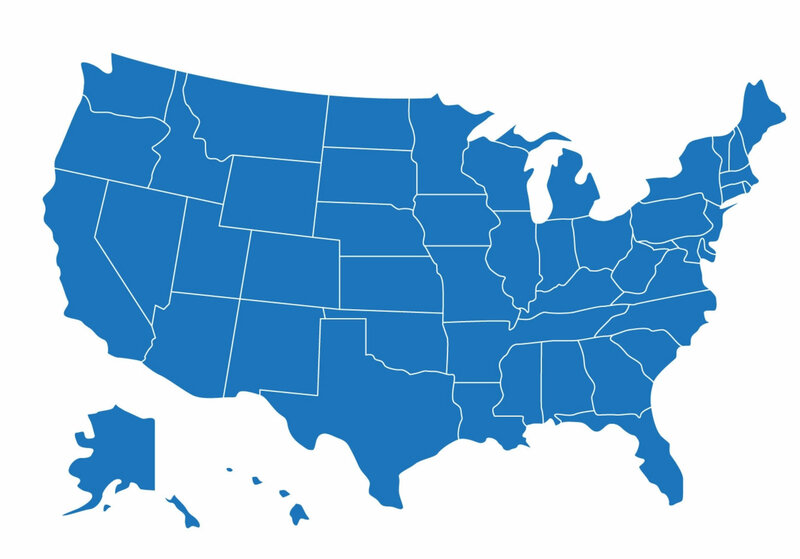 View the current unemployment rate on a state-by-state level below. Statistics are updated as of May 2017. The current national unemployment rate is 4.4%. Several states, including Alaska and New Mexico, currently show unemployment rates above 6%. The District of Columbia and Louisiana also have higher-than-average unemployment rates as of May 2017. States with some of the lowest unemployment rates currently include Hawaii, Colorado, North Dakota and New Hampshire. Each state administers its own unemployment insurance (UI) program. Therefore, the benefits an unemployed individual is paid by the state will vary. We have compiled a current data set showing the maximum weekly benefit amounts paid by each state. Find your state below to see how much an unemployed person can earn each week. Each state also sets a maximum number of weeks that it will pay continual benefits to an unemployed individual. Most states set this limit at 26 weeks, or one half of a year. But some states – like Florida, Georgia, North Carolina and South Carolina – set a maximum weekly benefit time limit at some period less than 26 weeks. Our team has compiled the most recent data for this below.